Since 2015, we've been following the story of Boyan Slat, a young inventor who set out to fight against the world's plastic pollution problem. At only 20 years old, he developed an invention aimed at tackling the world's largest patch of garbage, the Great Pacific Garbage Patch. 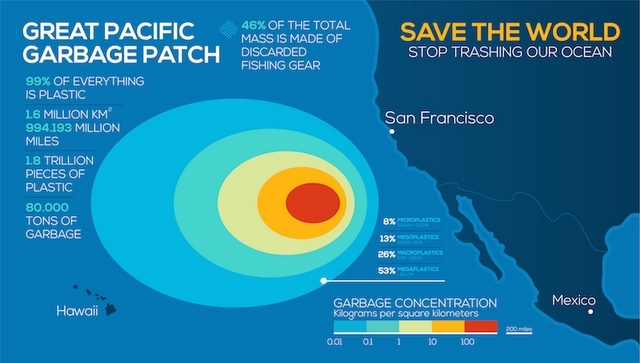 This vortex of trash, located between California and Hawaii, covers 600,000 square miles of ocean and is responsible for countless animal deaths. After years of testing and research, Slat's foundation The Ocean Cleanup is finally ready to launch the system and begin the Pacific cleanup. The invention consists of a nearly 2,000-foot-long tube that floats on the water. This has a 10-foot tapered skirt attached to it that stops debris from escaping. Currents in the water carry the system along naturally, and as the tube curves, it accumulates garbage in the center for easy removal. This means that every few months, a vessel can go to retrieve the trash and bring it to land for sorting and recycling. This simple idea has proved effective in testing and now that the system passed its last tests for seaworthiness, it's ready to take on its big mission. 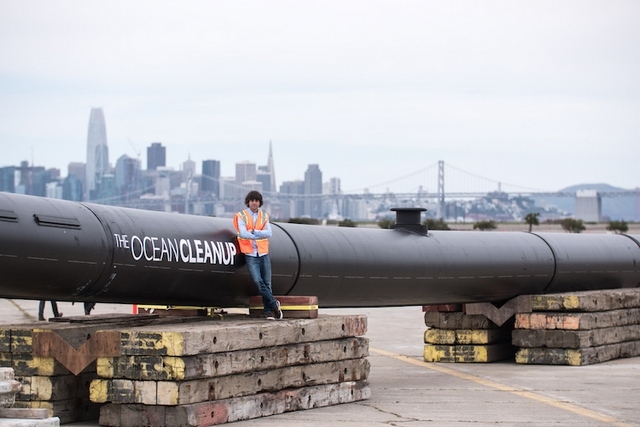 On September 8, the system will launch from The Ocean Cleanup assembly yard and move through the San Francisco Bay towards the Great Pacific Garbage Patch. Once launched, it should take about 3.5 hours to enter the Pacific Ocean, at which point its final destination will be about 1,000 nautical miles away. 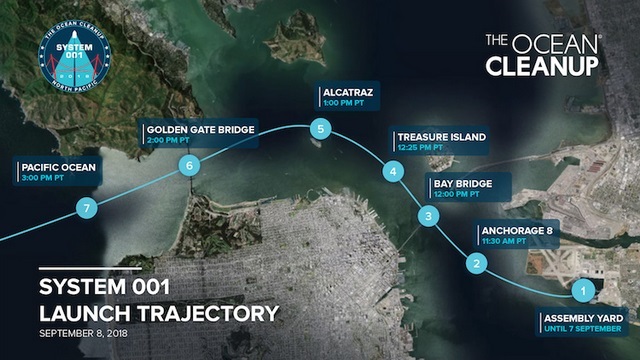 The day is a pivotal moment for Slat and his team, who went through almost 300 scale models, comprehensive mapping of the Garbage Patch, and several technology iterations to bring the system to fruition. With the launch nearly here, they can focus on the next goal, which is cleaning up half of the Great Pacific Garbage Patch in five years. Want to watch the momentous occasion? The Ocean Cleanup is live streaming the system launch on its website starting at 12pm PDT / 3 pm EDT / 9 pm CEST on September 8, 2018.